Homer Hickam, author of Rocket Boys, The Keeper’s Son. Jeff Edwards, author, Sea of Shadows, The Seventh Angel, Sword of Shiva. In his most popular novel, J.T. 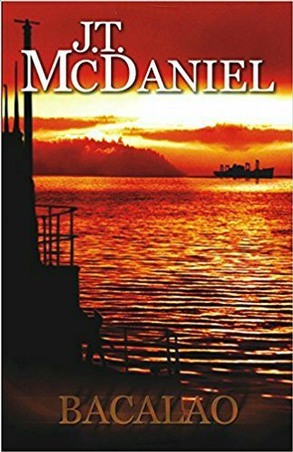 McDaniel takes the reader aboard an American Gato class submarine as she fights her way through the Pacific. Beginning in early 1941, Bacalao tells the story of Lieutenant Lawrence Miller, who first joins the uncompleted boat as fourth officer at the Electric Boat Company yard in Groton, Connecticut. Present during the attack on Pearl Harbor, Bacalao is soon sent into action against the Japanese, with decidedly mixed results. In the opening months of the war, the American submarine force was plagued by torpedo problems. These were exacerbated by an adamant refusal of those in authority to admit that there was a problem. The carefully-honed procedures developed before the war were often ineffective in the face of a determined enemy. There were failures in planning. Frustration abounded, and the Japanese quickly proved to be anything but the primitive copycats of popular image. Nor is Bacalao herself immune to problems. There are surprising changes when some prove unable to adjust to the sudden stress of battle. Equipment that showed great promise in pre-war tests doesn’t always work, and the “advanced” engines that promised to be such a great improvement quickly prove an unmitigated disaster. There are constants. Miller is a strong presence, advancing steadily as the war drags on. And there is Bacalao herself, as much a character as any of the men who fill her hull.